Can you believe that it is August already?? 2011 is now on the downside or flipside or however you want to look at it. I really can't believe it. Maybe I'm in denial ... I don't think I want to believe it. School will be starting soon and life will get to be a different kind of crazy. Not the kind of crazy I'm as good at. I truly enjoy my kids home and the busy-ness that summer is but the freedom that it is as well. 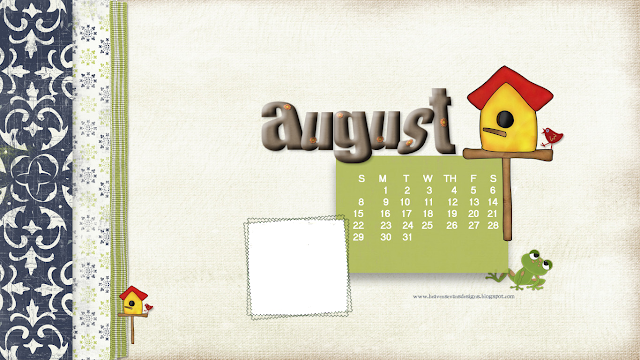 Below is the August's Widescreen Desktop Freebie for you. I hope you enjoy it. Just click on the image to make it larger and then right click to save image to your computer or click here to make it bigger. Also below is the Desktop file you can add a photo too if you have a program you can manipulate layers with. Download by doing the same as above or download here. Enjoy! 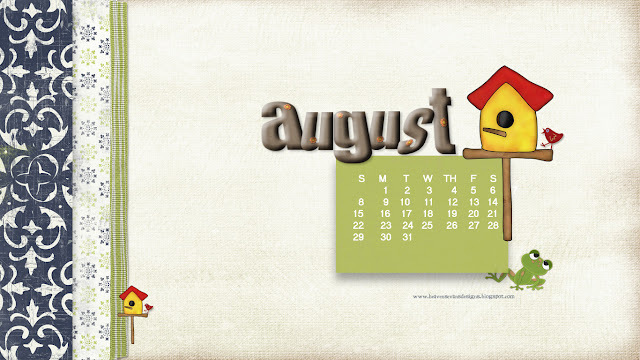 And tell me, what does August mean to you? August means that next month I will have my husband home after a year long deployment! I am very grateful this year went by fast! !